Maseno, Musinde Muliro Universities storm and disrupted IEBC training as TUM and Pwani university training continue. -IEBC Commissioner Boya Molu - Bana Kenya News, Real African Network Tubanane. The IEBC officials Trainings in Nyanza and Western regions have been sabotaged by the NASA supporters and aborted all sessions. Of late, Maseno University stormed the hall where the training was conducted in the school and evicted all the IEBC officials. Musinde Muliro University was also hit with the same troubles after the students forceful evicted the IEBC officials from conducting the poll sessions. Maseno University was on Thursday closed indefinitely after students disrupted a training of officials set to man the October 26 vote.On Wednesday, the students stormed a venue of an IEBC training and flushed out the attendees. Vice Chancellor Julius Nyabundi ordered the unruly students to leave the university compound by 8 am on Thursday. The students later barricaded the Kisumu-Busia highway paralyzing transport for several hours before police quelled the protests. "Due to the prevailing circumstances, the university is hereby closed indefinitely. Students are advised to vacate the premises." Nyabundi said. 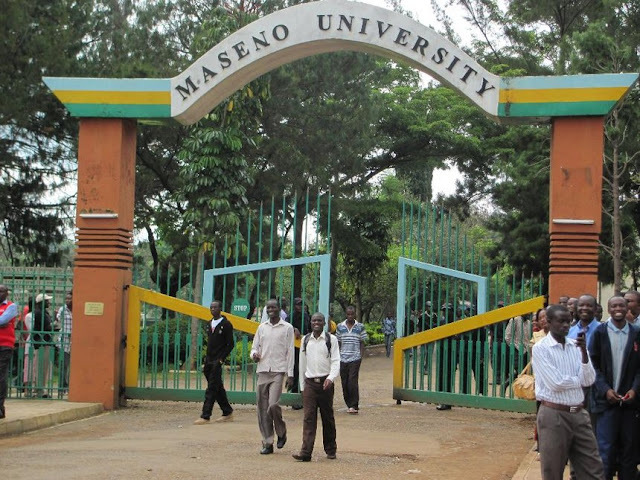 Maseno is the third institution of higher learning to be closed over of unrest due to tensions caused by the forthcoming fresh election.The University of Nairobi and Mt Kenya University's Thika campus were recently closed over student unrest. The IEBC training conducted in Coast region at Technical University of Mombasa and Pwani University proceeded with no interruptions despite residents being uncomfortable. Police from all areas of their Units were sent to NASA strongholds to man the polls trainings. More police officers will also be available to the opposition strongholds forcing people to vote at least in each polling station next week.